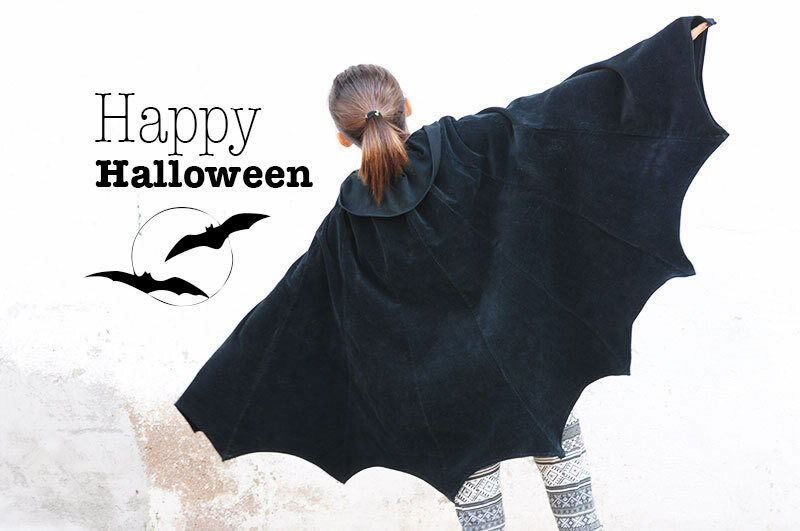 Giorgia wanted to make a bat costume for Hallowen this year and she’d have liked to sew bat wings up refashioning a black skirt of her mom. 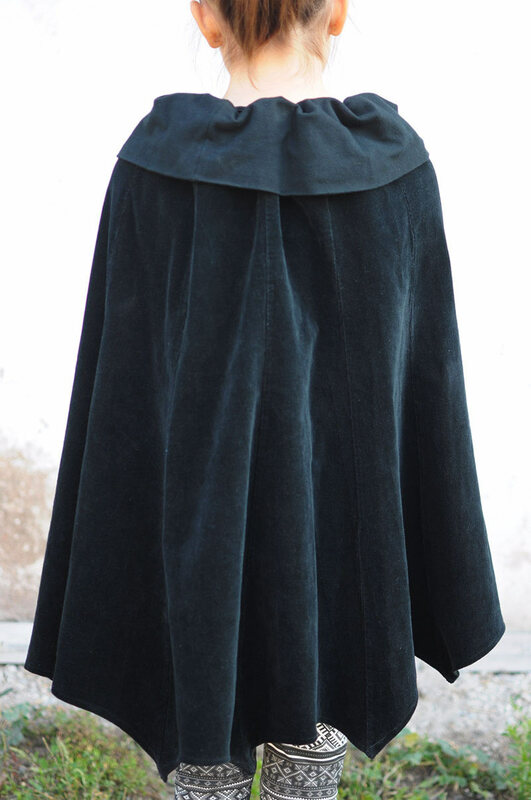 The skirt she gave her was perfect for this purpose, because it was a corduroy panelled skirt with a jersey band (unfortunately we didn’t think of taking pictures of the original skirt before starting to refashion it). 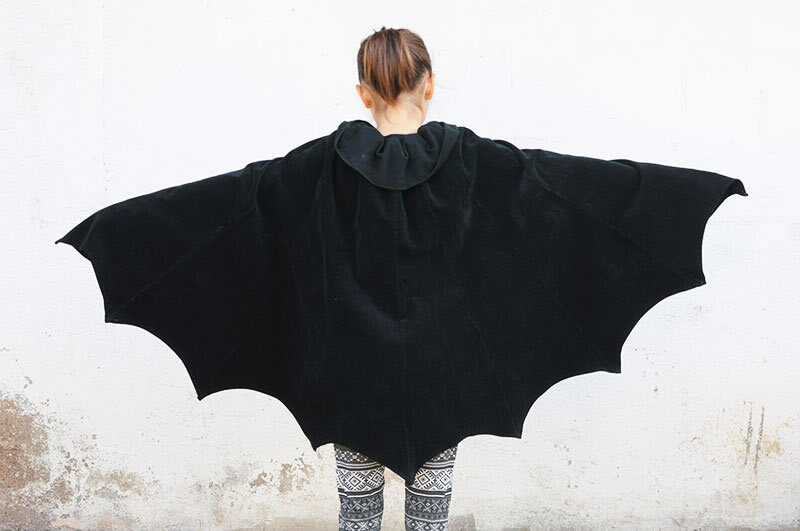 The division in panels was perfect for the bat wings because the gored seams was already made. At first we together unsewed one of the side seams from the hem to the jersey band. We turned the waist band in a collar. 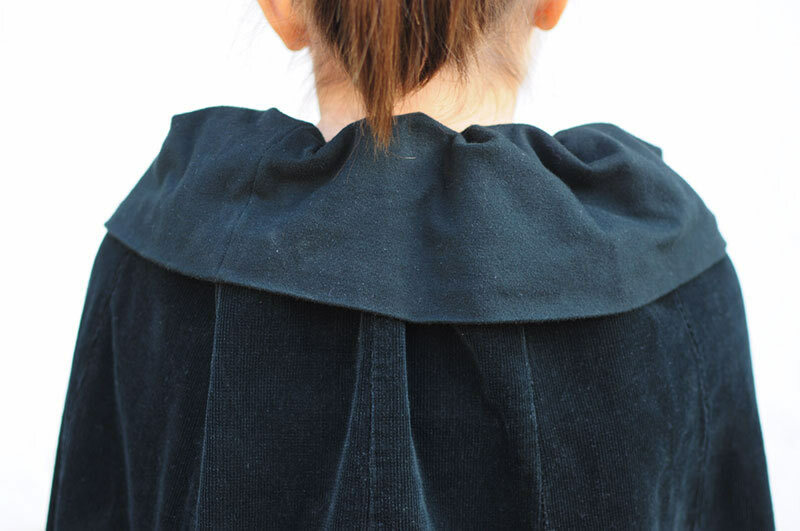 On the seam that join the band and the skirt we sewed a black elastic to gather the band/collar. In this way we turned it in a decorative piece and we made it more steady on Giorgia’s shoulders. We used a round tray to round all the panels on the hem and we cut them. I finished them up with my overlocking machine and hemmed with a 1 cm seam allowance. In the end I sewed two panels up together on both sides (right and left) to make the sleeves. 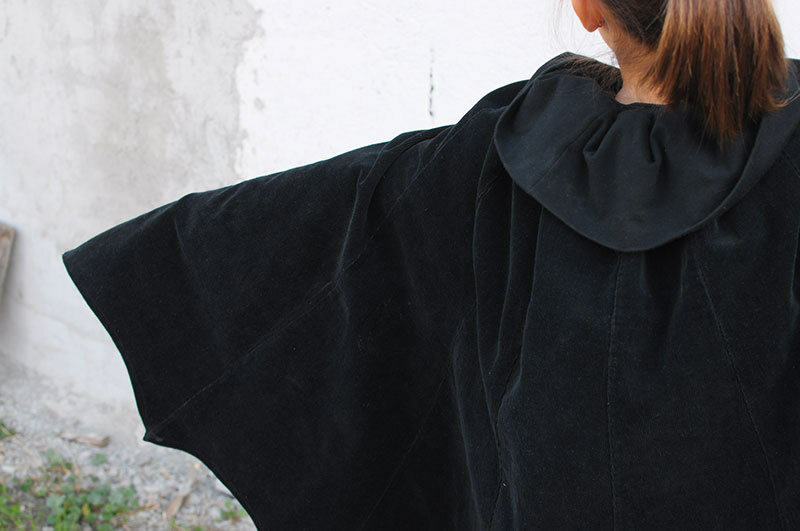 I sewed them from the hem to the elbow, in this way the cloak is simple and fast to wear. 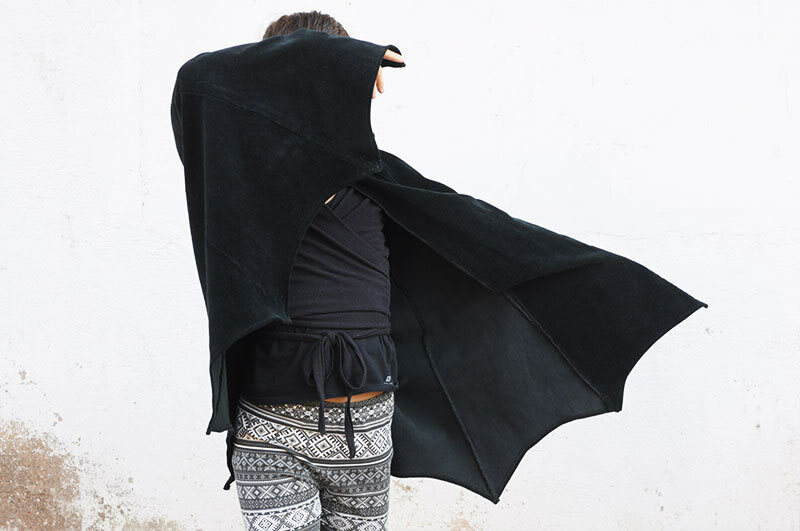 Et voilà…here is our Halloween re-fashioned bat wings cloak. The job has been very simple and we managed to do it in two hours yesterday afternoon. There are no words to express this gorgeous peica of inititiatve. Im going through my Gothic phase atm, and would love a skirt / dress with bat panels. Thank you so much!! 🙂 We had a lot of fun making it!